"The American Dream with strings attached"
COLUMBIA, Mo 12/6/15 (Beat Byte) -- Minutes from a November meeting of the Columbia Planning and Zoning Commission reveal a disturbing city government plan to build and sell low-income homes without the land beneath them. "The goal of this development is to provide affordable owner-occupied housing," a staff report before the City Council explains. In a central city neighborhood where few homes sell for over $70,000, each city-built house would cost $125,000 to construct, and carry an $85,000-$90,000 bank mortgage, community development specialist Randy Cole told the Commission Nov. 5. 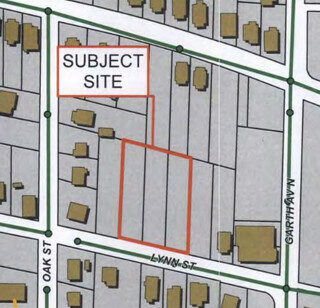 A rezoning to accomodate the proposal -- known as the "Lynn Street Cottages" -- is up for consent without comment at the Columbia City Council's Monday night meeting. "I have no idea what the city is thinking," a Columbia real estate investor/consultant, who asked to remain unidentified, told the Heart Beat. "They claim it's home-ownership for low-income people, but you don't own anything if you don't own the land. It's not much different than if they put in mobile homes, except these homes aren't mobile, and are way more expensive." City Hall will construct the four, 1,200 sq. ft. single family "cottages" as part of city manager Mike Matthes' strategic plan for "social equity". "We would maintain ownership of all the land." The project will use $200,000 in "city surplus" funds and another $300,000 in loans from Providence Bank, Cole told Planning and Zoning Commissioners. Billionaire Wal-Mart heirs Bill and Nancy Laurie own Providence Bank, which acquired failed Columbia-based Premier Bank in 2010. The roughly 0.7-acre cottage site features a "City-owned common lot" -- and a strategic location, "between vacant C-P (Planned Business District) zoned lots...adjoining undeveloped C-P lots to the north," the staff report explains. City Hall will charge low-income homeowners for common area maintenance, and is considering "increased property and sales tax revenues" to offset "demands upon adjacent streets, sanitary sewers, storm sewers, water and electric supply lines," the staff report explains. "I have no idea what the city is thinking. They seem to be deliberately setting people up for failure." Project documents are murky, featuring scrawled signatures without printed names or titles, and hard-to-follow details. So unsure about what the city has planned, P&Z Commissioner Tootie Burns asked the most fundamental question: "What will the homeowners actually own? Will they own the structures or will they own the property?" Cole gave the surprise answer. "Just the structure and not the land," he said. "We would maintain ownership of all the land." Not only will City Hall retain ownership of the land, but control of the houses, too. "We will be able to really control and make sure that low-income people go back into the homes when they resell, and also make sure that they resell at an affordable price," Cole explained. The larger scheme, he added, is for City Hall to assemble a "land trust", keeping parcels under City ownership but delegating management to a non-profit "501(c)(3)" with "a separate board." "This is the direction the Council and the city manager want to go," Cole told the Commission. Commissioner Anthony Stanton, who resides in the Lynn Street area, supported the project, but with reservations. "It's kind of like the American dream with strings attached," he said. 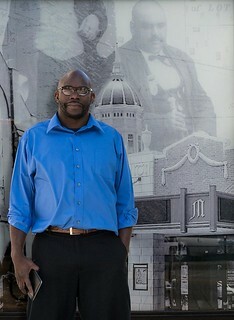 Tyree Byndom, a Douglass Park Neighborhood Association organizer and member of the Mayor's Task Force on Community Violence, emphasized the importance of land ownership in minority communities, where Lynn Street is located. "Land ownership has always been the pinnacle of the American experience for those of African descent," Byndom told the Heart Beat. "This plan, while innovative and timely, is also insensitive, considering the history of Black community mistreatment in the Sharp End and other Black districts." Homeownership without land or control is no different than renting, explained the real estate consultant quoted earlier. He expects the homes will fail to sell or enter foreclosure if they do. "They seem to be deliberately setting people up for failure," he added. "Like the land the city bought for the homeless drop in center, right across the street from a bunch of houses. That project failed, but the city keeps the land."